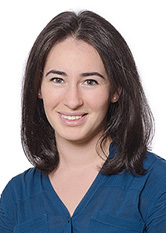 Elina Kremen represents clients in all aspects of corporate and commercial law, with a particular focus on real estate, public and private equity and debt financing, mergers and acquisitions, general corporate matters and corporate governance. In addition, she has served as counsel to public and private companies on initial public offerings of securities, private investment in public equity (PIPE) transactions, equity lines and various corporate finance transactions. Ms. Kremen is a graduate of Rutgers School of Law. She is admitted to practice in New York and New Jersey.